Slow cooker alert: Best ribs ever. In the universe. Seriously. So my man loves ribs. What guy doesn’t? And I love my slowcooker. So I searched far and wide for an amazing rib recipe and found one on Pinterest. 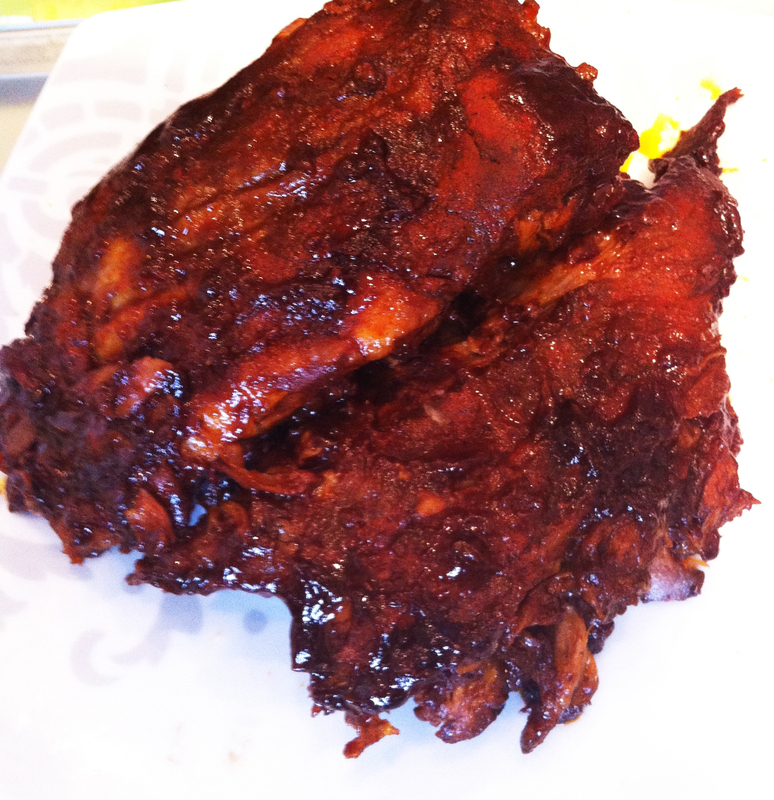 This one comes from Lori Reisig from her Mmm…is for mommy blog, and with a caption like ‘Easy Barbecued Ribs’, I figured I couldn’t go wrong. Mix together paprika, brown sugar, cayenne and S&P in a small bowl. Rub the dry mix all over both sides of your ribs well (don’t forget the sides!). Spray the slow cooker with veg spray and arrange ribs in the slow cooker (I have a 6.5 quart oval one) by standing them up against the wall of the stoneware pot, thicker side down and meaty side against the pot. Pour barbecue sauce over the ribs, cover and cook for 6-8 hours on low (Like Lori, I did 7 hours and they were amazing). I also threw in a few heads of garlic to hold up the ribs and have some delicious roasted garlic to go with the ribs. « Calling all lazy girls! It’s about that time of the year where I start to do more with my slow cooker. Definitely going to give this a go! Appreciate the suggestion!